BB-9E Droid by Sphero | Nerd Much? It's BB-8's evil cousin, ya'll. 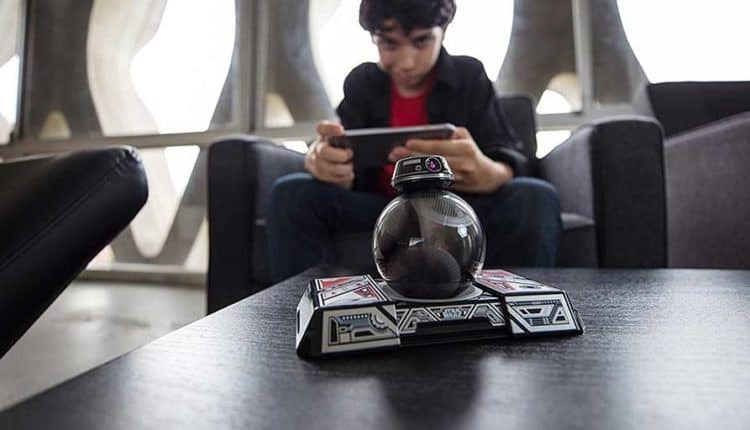 For those who haven’t been paying attention, Sphero has been doing some crazy cool things with the Star Wars license. It all started a couple of years ago when the company introduced a BB-8 toy that allowed users to control it with a smartphone app. Then, last year, the company introduced the Force Band to go along with it, which allowed users to control the cutest droid in the galaxy using the force (or, in reality, a motion-enabled wristband). Now, the company is moving to the Dark Side with their latest creation, the BB-9E Droid. BB-9E will be officially introduced to the world on screen with Star Wars: The Last Jedi in December, but Sphero will actually release this app-enabled droid sooner…as in, today! It has a similar look to BB-9, with the round rotating body and a smaller head. The head is designed a bit differently, as BB-9E’s is flat and not round (unlike BB-8). It also has bright LED lights as well. It does everything the BB-8 version can do, just with an evil colorway and a slightly different head. He can also move autonomously in the environment, and he’s able to interact with the rest of Sphero’s Star Wars app-enabled droids. 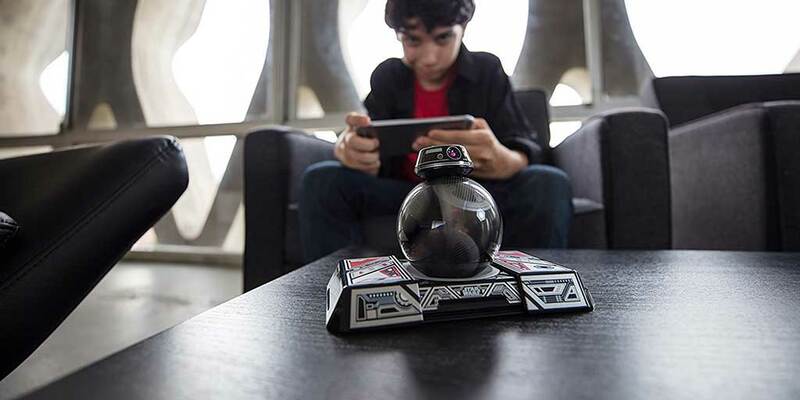 You can control BB-9E with the app on your phone or tablet, or let it patrol on its own. As it stands right now, we’re unsure if the Force Band you might’ve gotten last year with your BB-8 will also control the BB-9E, but being that it seems to go against Star Wars canon, it probably can’t. The BB-9E Droid by Sphero is available to order right now on Amazon, so you can get your hands on BB-9E before we even see him onscreen. For more of the latest cool Star Wars stuff to buy, stay tuned to Nerdmuch.com for updates.